Editing properties of the Marble Widget plugin in Qt Designer. 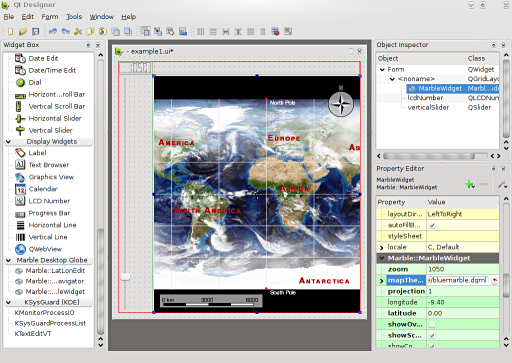 current 15:21, 11 February 2009 512 × 363 (176 KB) Tackat (Talk | contribs) Editing properties of the Marble Widget plugin in Qt Designer. This page was last modified on 11 February 2009, at 15:21. Content is available under Creative Commons License SA 4.0 unless otherwise noted.